We Looked At The Most Common Reasons We Hear From Parents For Hesitating To Call A Divorce Attorney For Their Child Custody Case. Do Any Of These Sound Familiar? The single most common problem that I see in family law and divorce cases of all types. The fact is that nearly half of the parents that come to our law firm to talk about their cases should have; called a divorce attorney, filed a case, or set up hearings long before they did. I often ask parents in this position why they waited and based off of their responses and my experiences I thought it would be a good idea to address these concerns head on in the hopes that you; our friends, family, and subscribers will not fall into the same trap. To do that I will list a few common scenarios that, if they occur, should have people running for their attorney’s office. At the same time, I will lay out some of the most common excuses I hear for why parents procrastinated and offer some honest responses to them. This is the situation where the parents either have a verbal agreement for time-sharing or may even have a court order and the other parent basically says “you can have the kids”. Suddenly you have a majority of the time-sharing, school boundary determination is your house, and the other parent does not appear to be interested in seeing the kids any time soon. This happens way more often that you may think and is the perfect time to seek representation and file a case to get your majority court ordered and get child support established. The problem is that by not being proactive you are only leaving the door wide open for the other parent to show up out of the blue, pulling the kids out of school, and taking them back leaving you with no choice but to seek an attorney to file what should have been filed before only now everything will need to be done very fast with few guarantees and often costs much more than if it had been done earlier when it should have been done. The excuse here is that you thought you had all the power and had no idea that the other parent could swoop in and do what they did. But now you know if the other parent just hands over the kids get it on paper and signed by a judge now! This situation happens very often in both divorce and unmarried parent custody cases. The Issue is that the parent thinks that they will have a better shot at getting more time-sharing if they have the right house, job, or a better car when they go court even if this means that they spend little or no time with the kids. The truth is that it is not ease to get on one’s feet after a breakup and judges realize that and are often willing to consider that in custody cases. A parent can easily spend a year trying to arrange their lives perfectly to go after time-sharing only to face an allegation that they abandoned the kids, didn’t pay any child support, and that the children no longer know them or do not want to see them. That is the formula for a nasty custody case and can often be avoided by simply filing a case as soon as the breakup takes place. At the very lease you can show that you did not abandon anyone, that you were trying to seek visitation from the start, and while you may not have the best living arrangement for overnight visits, but you will get some temporary court ordered time with the kids which can cut out many of the other parent’s arguments to keep you away from the kids later. This is very common. Even if the other parent has slowly cut down on your contact with the kids over time you were “scared to rock the boat”. My question to these parents is always the same; What are you so afraid of? 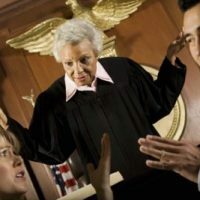 The courts are in place to help parents with disputed over children. They have been doing it for a long time and are not something to be feared. The truly scary thing is to allow your relationship with your child to be dictated to you by a controlling ex who does not know the law at all! Your time with your kids is the most important thing in the world and if your bond with your kids is being threatened then fear of lawyers and the courts should be the last reason for doing nothing. It is true that divorce attorneys are not cheap, however, many law firms offer payment plans in order to make representation available to parents who otherwise would not have a lump sum of case to hand over right off the bat (Our firm offers payment plans by the way). Some parents borrow funds from family members, get credit cards to pay legal fees, or get second jobs. For most, if the case is a priority there is some way to make representation possible that they just have not thought of yet. Very often the difference maker in affording an attorney to represent you can come from a little creative thinking. My hope is to let parents know that once you realize that your custody situation is out of control there are not very many good reasons to put off taking action and hesitation can hurt your case much of the time. If you have found your way to our website and subscribed to our updates then you may well fall into one of these categories. I would urge you to at least consult with an attorney to make sure that you are not hurting your future case.